BUSINESS SAVVY: TV personality Chyka Keebaugh between Business in Heels co-founders Lisa Sweeney and Joanne Plummer at the Geelong summit. A recent summit of Geelong woman was so successful a follow-up is on the cards, according to one of the organisers. Last month’s Regional Women’s Business Solutions Summit delivered practical solutions for women operating in the commercial and corporate sectors, said Lisa Sweeney. The Business in Heels chief said more than 100 participants attended, with the event providing a rare opportunity for female business owners and leaders to discuss their individual issues. The summit had a “real buzz”, Sweeney said. “The day went really well. We received loads of positive feedback and participants were able to get the solutions they were after,” she said. 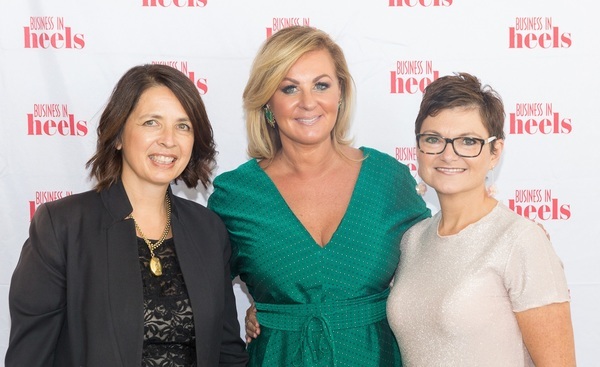 Sweeney confirmed that Business in Heels would stage a second Geelong summit in February. “Ultimately, we hope our summit can become a yearly feature within Geelong,” she said. TV personality Chyka Keebaugh hosted the summit, which featured an expo, discussions with business experts and a series of workshops covering 16 topics. Sweeney said the hands-on workshops offered “valuable, real and immediate solutions”. “Our workshops provided a fast and effective way of understanding complex concepts,” she added.